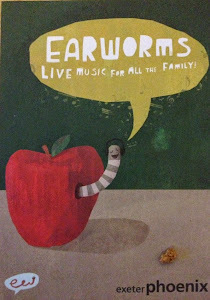 Rehearsals begin tomorrow for our first, very own Earworms performance on May 4th. 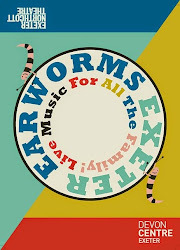 Exeter Contemporary Sounds are the brains behind the Earworms concerts, set up following a popular open rehearsal as part of their 'Back there on Earth' tour back in 2012. Incidently, another performance of this is coming up on May 9th at The Flavel in Dartmouth if anyone would like to come along. Read more about it and book tickets here. 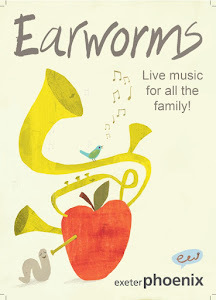 We're really looking forward to performing. 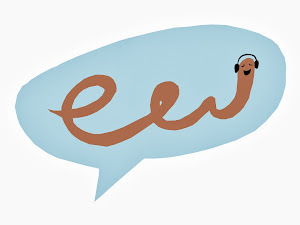 We have spent a great deal of time planning, organising and running the Earworms concerts over the last few months, it's lovely to be presenting our own choice of music which will feature highlights from our last programme and the one currently in preparation. There will be music for String Quartet and film by Steve Reich (Different Trains), arrangements of Kraftwerk, Bach and They Might Be Giants. We'll also feature music by local composer (& Earworm's photographer) Simon Belshaw - Between the Moon and the Earth has a backdrop of film from the Apollo 8 mission. They really are mesmerising - a must for any young space fans. 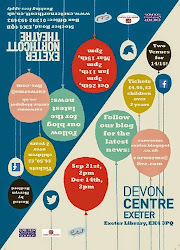 There will be some audience participation - and as it's May the 4th we couldn't resist some Star Wars references.